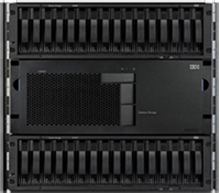 The IBM System Storage DS5000 Models DS5100 (1818-51A) and DS5300 (1818-53A) scale up to 448 drives using the EXP5000 (1818-D1A) enclosures and up to 480 drives usung the EXP5060 (1818-G1A) enclosures with the proper addition of the necessary feature keys. The DS5000 allows for intermixing of Fibre Channel, FC-SAS, FC-SAS Nearline, Self Encrypting Disks (SED), SATA, and Solid State drives for tiered storage. Host interfaces include both FC and iSCSI. The DS5000 series provides investment protection with the ability to attach DS4000 EXP810 Expansion Units or a combination of EXP5000s and EXP810s. This provides a rich set of upgrade paths to extend the DS4000 series installed base of EXP810s. If your looking for EXP810 drives for your DS5000 configuration, learn more here. Note: The EXP5060 SATA DDMs and the SATA EV-DDMs that are used in the EXP5000/EXP810 storage expansion enclosures are not compatible. Do not use the EXP5060 SATA DDMs in the EXP5000/EXP810 storage expansion enclosures. Similarly, do not order the SATA EV-DDMs for the EXP5060. The EXP5000 EXPansion 4Gbps enclosure houses 16 drive bays, redundant dual-active intelligent RAID controllers, and dual power supplies and cooling components. Up to 16 dual-ported Fibre Channel, FC-SAS, FC-SAS Nearline, SED, SSD, or SATA Disk Drive Modules (DDM) are intermixable in the same enclosure. The IBM System Storage EXP5060 storage expansion enclosure (Machine Type 1818, Model G1A) provides high-capacity SATA disk storage for the DS5100 and DS5300 storage subsystems. The EXP5060 is a 4U rack-mountable enclosure that supports up to 60 SATA Disk Drive Modules (DDMs), offering up to 180 TB of SATA disk space per enclosure using 3 TB SATA DDMs. The disk drawer planar board has ATA translator circuitry for each of the SATA drives that converts the fibre channel protocol interface of the EXP5060 drive channel/loop into the hard drive SATA protocol interface. It also provides dual paths to the SATA drive for DDM FRU path redundancy. Each SATA hard drive and carrier assembly (drive tray) are called SATA DDM FRUs. See IBM RAID Array Considerations for more information on mixing drive types and revision requirements..
• All drives within a RAID array must have the same drive interface. You cannot mix drives with different interface types in a RAID array. • Drives with different sizes can be mixed in a RAID array. However, the array will be created with all drives having the size of the smallest drive size in the RAID array. • It is recommended that you do not mix drives with different rotational speeds in the same RAID array. For example, you should not mix NL-SAS (operating at 7,200 rpm) and SAS drives (operating at 10,000 rpm) in the same RAID array. • Drives of different capabilities, such as PI-formatted or encryption-capable drives, can be mixed with drives without these capabilities in the same RAID array, but only if the drive capabilities are not enabled for that RAID array. For example, you can create a RAID array with both PI-formatted and non-PI formatted drives; however, the created array will not be able to operate with the T10 PI functionality enabled. • A drive with a specific drive interface cannot be used as a spare for a drive with a different drive interface. • Drives with lower rotational speed can be used as spares for an array with drives having higher rotational speeds. • A RAID array with additional capabilities enabled, such as T10 PI or encryption, requires a PI-formatted or encryption-capable drive as a hot-spare drive. Note: The EXP5000 FC-SAS drives must have the FC-SAS interposer firmware version 2264 or later installed. Some drives with FC-SAS interposer firmware version earlier than 2264 report incorrect inquiry information during Start of Day. This causes the controller firmware to make the drive uncertified (incompatible), which in turn causes the drive to no longer be accessible for I/O. This condition will also cause the associated array to go offline. Since the array is no longer accessible, the controller firmware may not recover the cache for all LUNs under this array. This behavior may result in data not being written. The FC-SAS interposer firmware version 2268 or higher is included and is also is available in the ESM/HDD firmware package version 1.78 or later. Contact us if you need more information or integration assistance for your IBM DS5000 Series of products or EXPansion units. 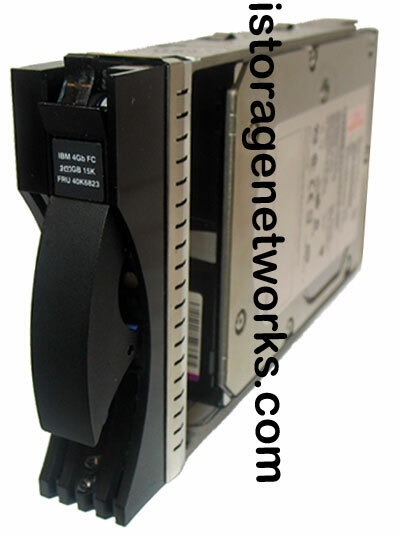 Need other IBM DS5000 FRUs? Need another IBM Feature Code?